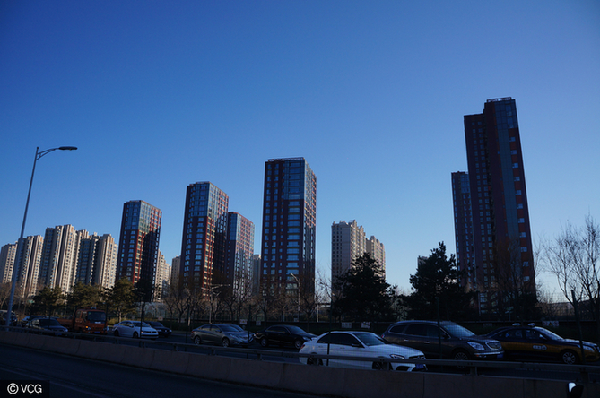 High-end apartment buildings near Wangjing in Beijing on December 14, 2016. A top Beijing official vowed during the weekend to reinforce restrictive measures in the capital's real estate market to ensure steady home prices next year. His remarks echoed the Central Economic Work Conference's statement to curb speculation in real estate markets. "Residential homes have been already overpriced, piling on risks and adding to social anxiety. It challenges the city's sustainable development and stability," said Guo Jinlong, Party chief of Beijing, on Sunday. "Very probably, Beijing will further raise the threshold for improvement-oriented homebuyers by increasing the required down payment and mortgage rates," said Guo Yi, marketing director of real estate consultancy Yahao Real Estate Selling & Consulting Solution Agency. On Sept 30, Beijing raised the down payment requirement for first-home buyers from 30 to 35 percent. For those who have had one apartment, and want to buy another one to improve their living space, whether they have paid off the mortgage for their first home or not, they have to pay a 50 percent down payment when making a new purchase. Yahao's Guo said that to further tighten the regulations, those who have sold their first home and want to buy a new one may even face a 50 percent down payment or an even higher one. "Such a measure will definitely lead to a sharp drop in transactions and the price of pre-owned homes will also see a slide," he added. Property transactions fell 31.7 percent in Shenzhen, 12.2 percent in Shanghai, but still climbed 5.6 percent in Beijing last month. "House trading volumes in Beijing will probably decrease by 20 percent at most if Beijing raises down payment requirements or mortgage interest," said Zhang Dawei, chief analyst with Centaline Property Ltd.